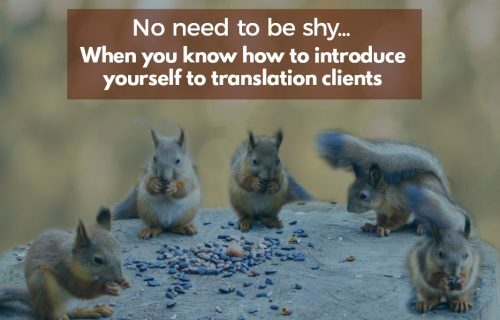 When I first started as a freelance translator, I didn’t know much about the business. Translation school professors are so busy teaching you the craft, they don’t have time to show you how to get contracts and clients! It pains me to see translators flailing around and going nowhere in their goals to build their business. I want to help you get over that and stop struggling so much to land good-paying translation work. Did you know you can boost your translation career simply by choosing the right sectors? Does the sector have enough economic activity to support translation? Are the companies in the sector actively going after a bilingual audience? Do they use freelancers and pay them good rates? Ask other translators who work in the sector how much they make. Research company websites to feel out how many translate into your target language. Research business information on government websites for industry revenue information (hint: the more money in an industry, the more they have to spend on translation). Any business needs to do this kind of research to validate market demand. As a freelance translator, you are indeed a business! 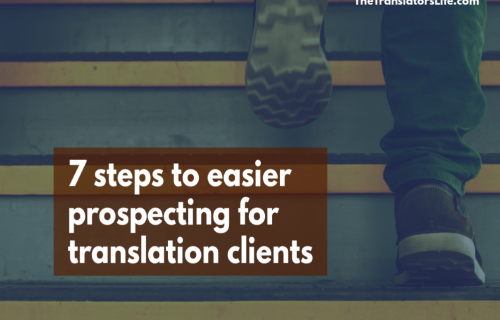 However, I can give you some solid pointers in the right direction based on my translation knowledge and experience. I’ve indicated not only why these sectors are great to work in but also why they need freelancers to give you a leg up when contacting them. Ready? Let’s do this. Banks and financial institutions often don’t want big translation teams. They have one or two in-house people and then they farm out the rest. Hospitals don’t want the cost of keeping people full-time for one-off needs. Tons of clients need legal translations, but they may only need just the one contract or service agreement. All three are profession-based sectors that need translators who know expert lingo and jargon. These sectors can involve work from research scientists who are looking to publish reports and studies to technical manuals and standards. Companies in these sectors don’t have to have their content translated and only will if there is demand for it. All three need translators who are whizzes at terminology. Why they are sure bets: These three sectors are important because they all have to produce content to survive. Schools must produce content in the language of their students. Marketing departments have to produce content in the language of the target audience to get people to buy products. Nonprofits who want to raise donations from a specific language group must produce content in that language. Why they use freelancers: These sectors love having reliable people on call who know their companies and their messages. They like the reliability factor of having one person look after them, as having to deal with a bunch of people or a faceless agency brings on its own headaches. The plus for them: you are an extension of their team, but they don’t have to manage your salary, which is better for their bottom line. All three need translators who have a sparkly, shiny writing voice. Why they are hard for freelancers: In many countries, revenues and wages in these sectors tend to be lower. They are more “nice to have” sectors than “need to have” (even if we all think that the arts are essential!). 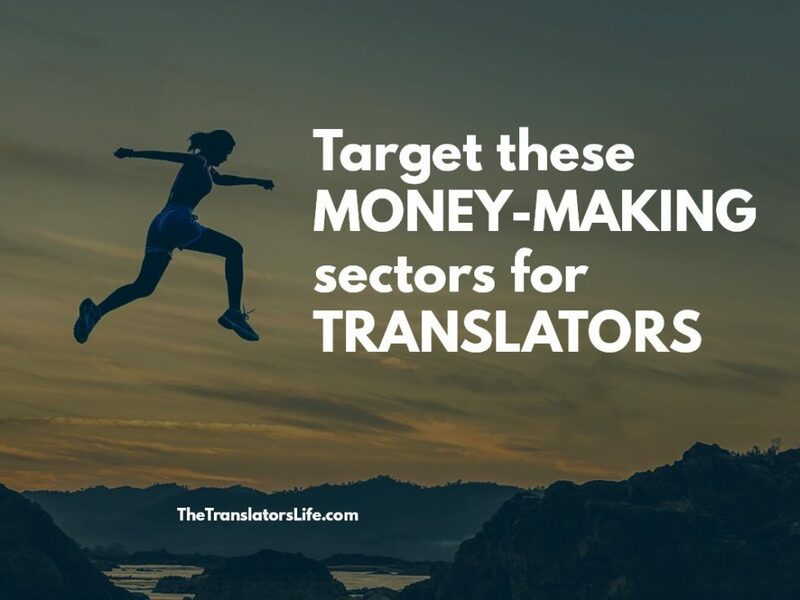 When the economy gets rough, companies in these sectors put the brakes on their translation output. How to work in these sectors anyway: If you go after these sectors, make sure you have the experience, knowledge and passion to help them. Since they’ll be looking to save money, you’ll have to bring more to the table than just “translation” if you want to get a good rate. You will also have to diversify as much as possible. Try bunching up sectors together — such as arts, travel, recreation and culture — and then go after the really big companies in all of these sectors that have active marketing and education departments or a foundation wing. You don’t have to actively avoid small businesses, but think hard about making them your focus. Instead, see small businesses as “low-hanging fruit” that you can contact to build your portfolio or experience in a sector. My goal here is not to dash your hopes and make you put aside your dreams of translating books and working with amazing artists. 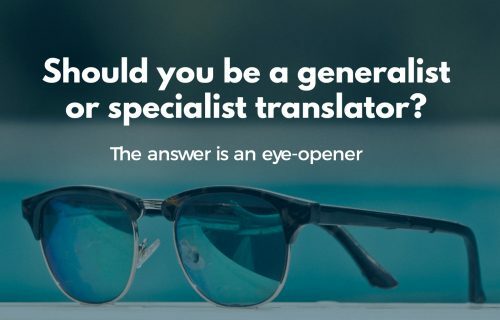 And you can absolutely make a good living as a translator by throwing all of this advice out the window and becoming the go-to translator in whatever industry you are passionate about. But if you haven’t found that passion yet, these areas give you the best chances for freelance translation success. Despite the doom and gloom you hear from other translators, busy industries with multilingual audiences always need professional translators. The more realistic you are about how to make money, the greater chances you’ll make a good living.